Stefan will introduce this very special film screening and take part in a post-film Q&A session. Can you impact on your own happiness? Most of us have grappled with career goals, relationships and even our own happiness. But how many of us have taken the time to really explore what can make us happy? Would it be meditation, therapy, drugs, or something else? Could you achieve happiness by design? New York based designer Stefan Sagmeister lives in the city of his dreams, creating work for the Rolling Stones and Jay-Z. He’s got his own highly successful design firm, he’s a two-time Grammy winner, and he has had design projects and museum exhibitions shown around the world. Yet, he suspects there must be more to life. Turning himself into a design project, he attempts to change his personality to become a better person. And in the process, he takes us on a personal journey to find out what causes happiness. Things don’t go as planned. Stefan Sagmeister formed the New York based Sagmeister Inc. in 1993 and has since designed for clients as diverse as the Rolling Stones and the Guggenheim Museum. Besides two Grammies he also won practically every important international design award. In 2012 young designer Jessica Walsh became a partner and the company was renamed into Sagmeister & Walsh. His Happy Show has attracted over a quarter of a million visitors worldwide, and counting, and is the most visited graphic design exhibit in history. The Happy Film is his first film. 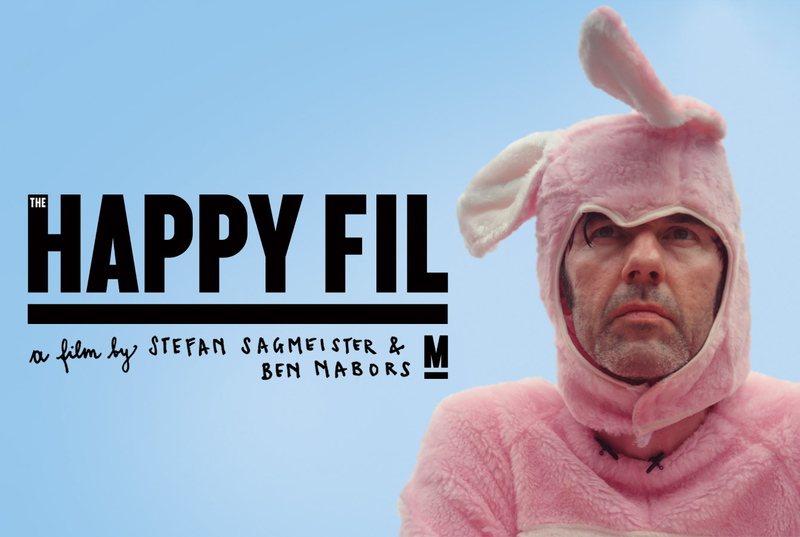 Stefan Sagmeister (Co-Director and subject), Ben Nabors (Co-Director and Producer) and Hillman Curtis (Co-Director). Film run time 95mins.